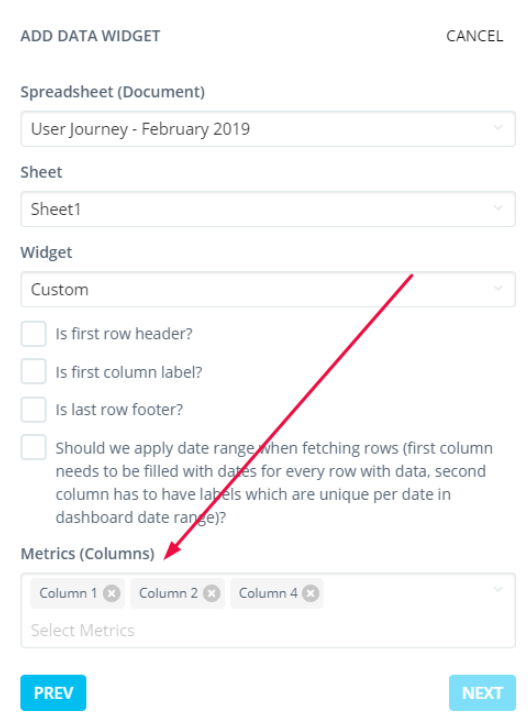 When creating Google Sheets dashboards in Reportz, you have the option to filter your metrics by custom made date ranges. To do this, you need to format your sheets in such a way so the dates are inserted in the first column of the rows you want to show. So, in this particular case, only the rows in between the two inserted dates (rows 2 to 6) will end up being shown in your report. 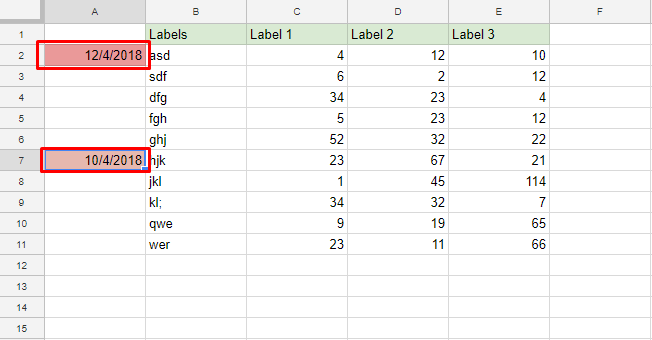 Should we apply date range when fetching rows? 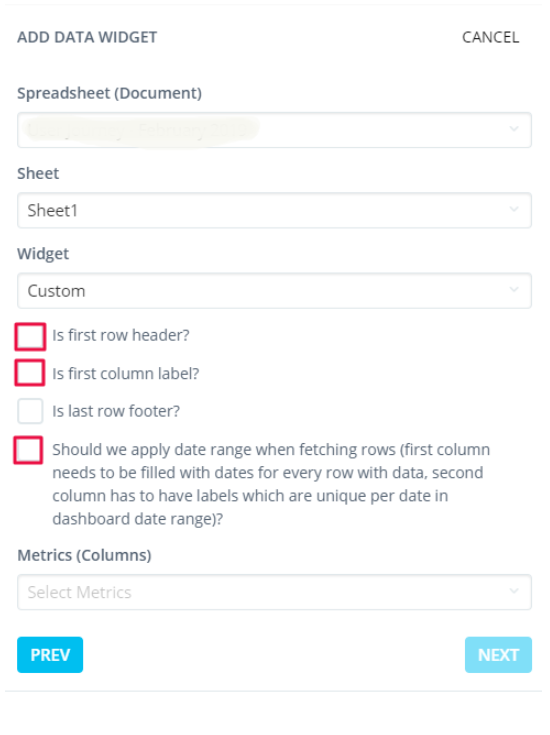 After this, simply choose the metrics you want shown in your report, and create your widget. Note: In case there are more “similar” labels within the desired date range, the numeric values will be added together or shown as the average value. If the values that are inserted in your spreadsheet are in strings, the widget will show the latest one.